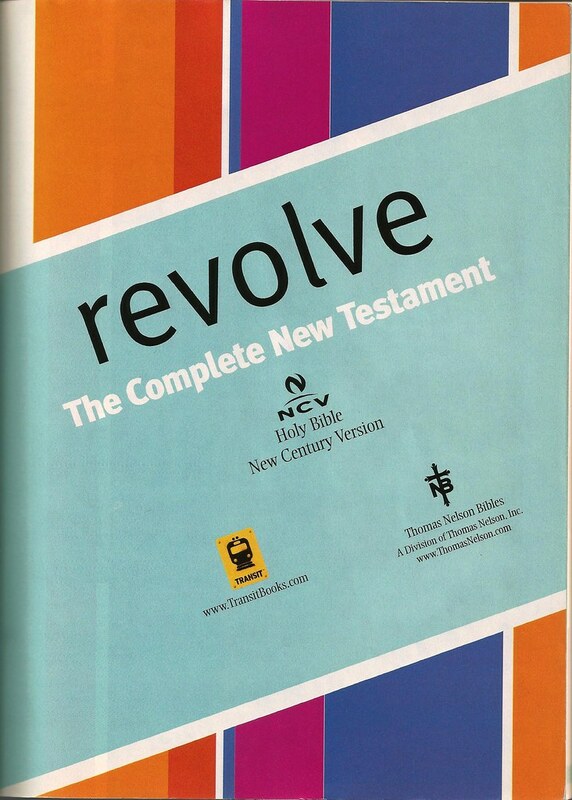 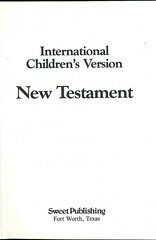 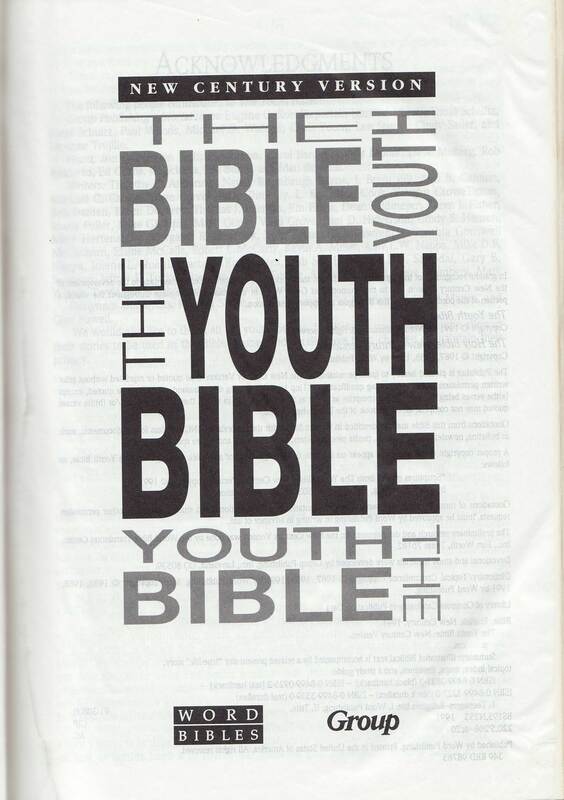 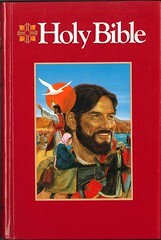 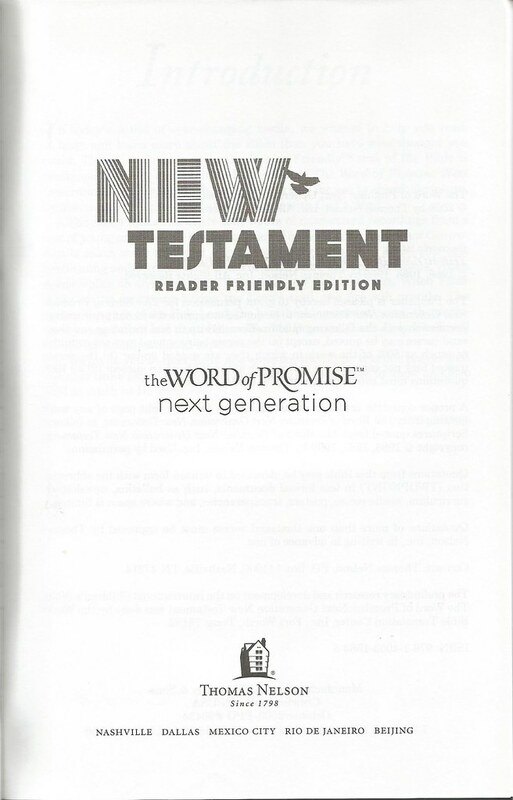 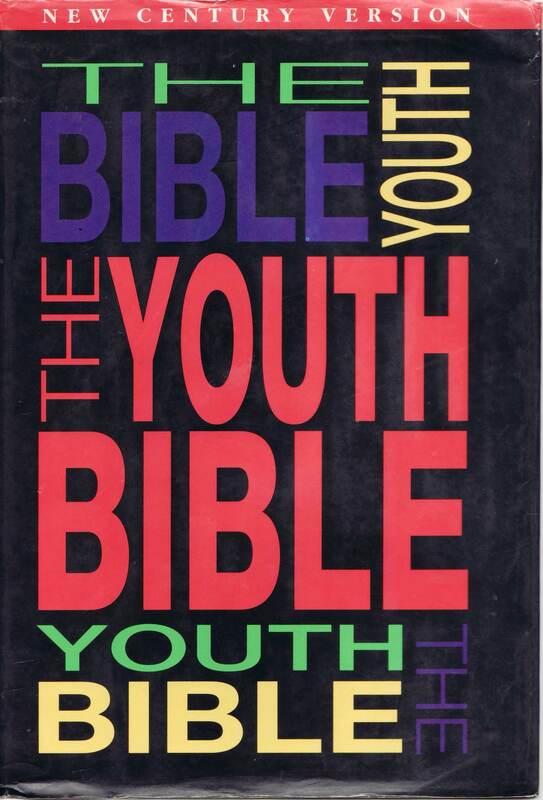 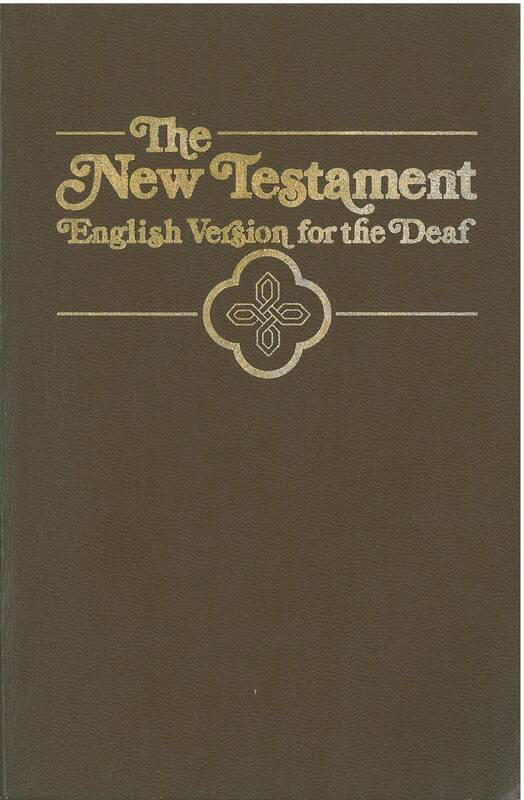 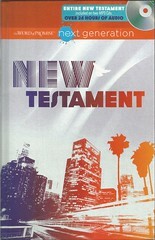 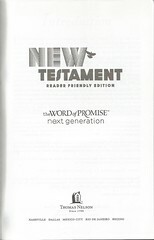 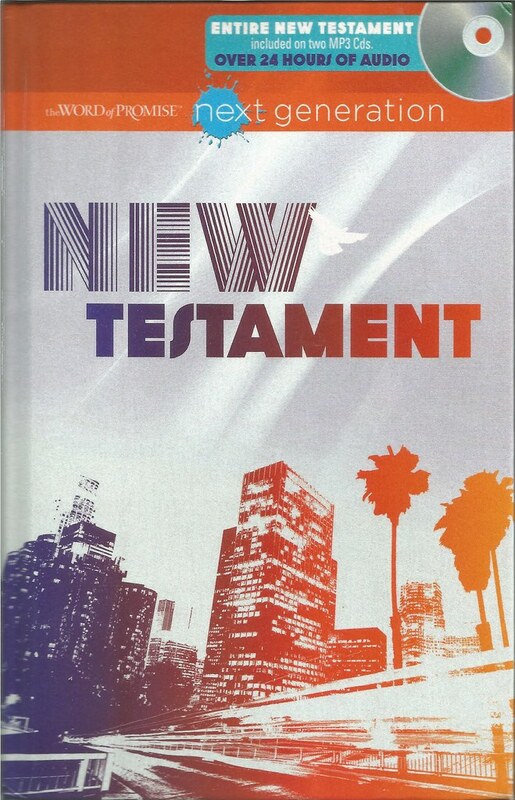 A review of the New Testament from 1983 can be found here. 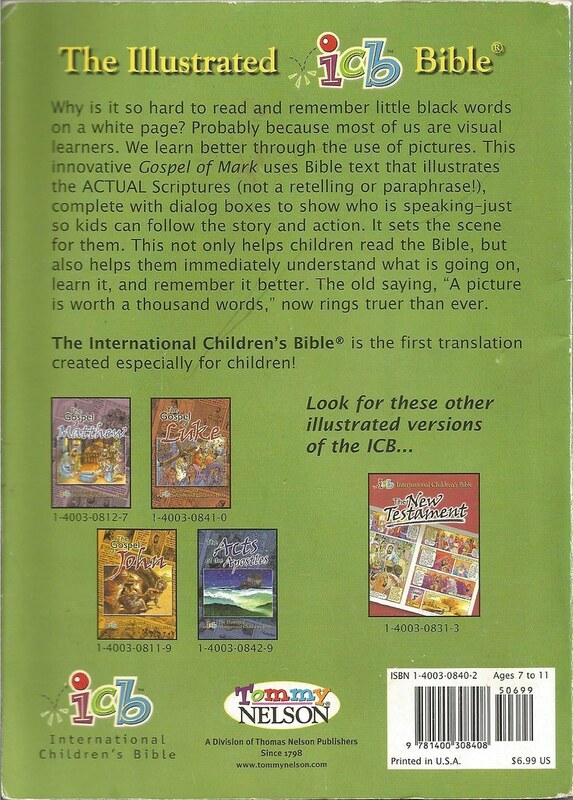 Comments: This edition is formatted like a comic book; it contains illustrations that surround the text (which has a 1999 copyright). 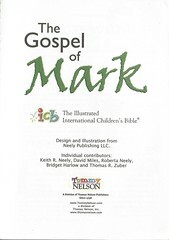 The illustrations and design were provided by Neely Publishing LLC. 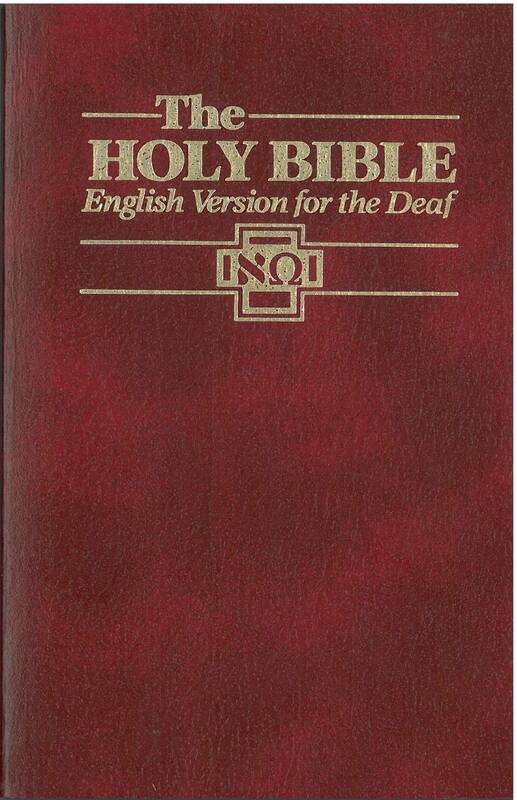 Comments: This edition has various helps. 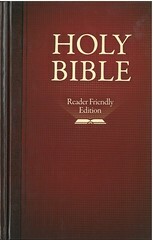 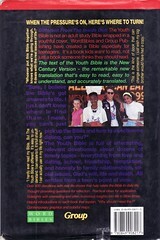 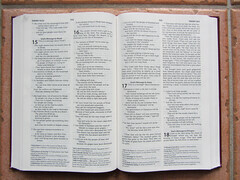 Key verses about various are highlighted in the text. 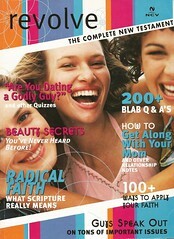 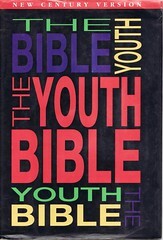 Revolve is a New Testament intended for teenage girls; it is inspired by fashion magazines popular among them. 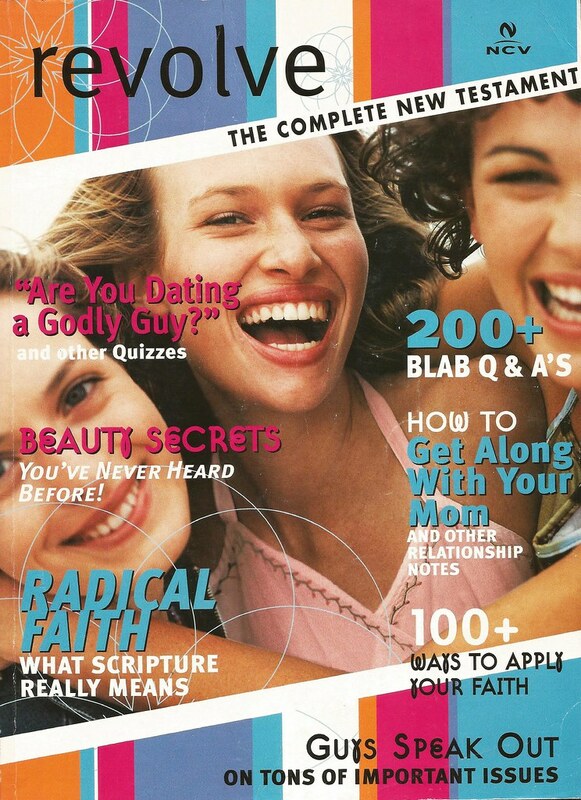 It generated media coverage upon its publication in 2003. 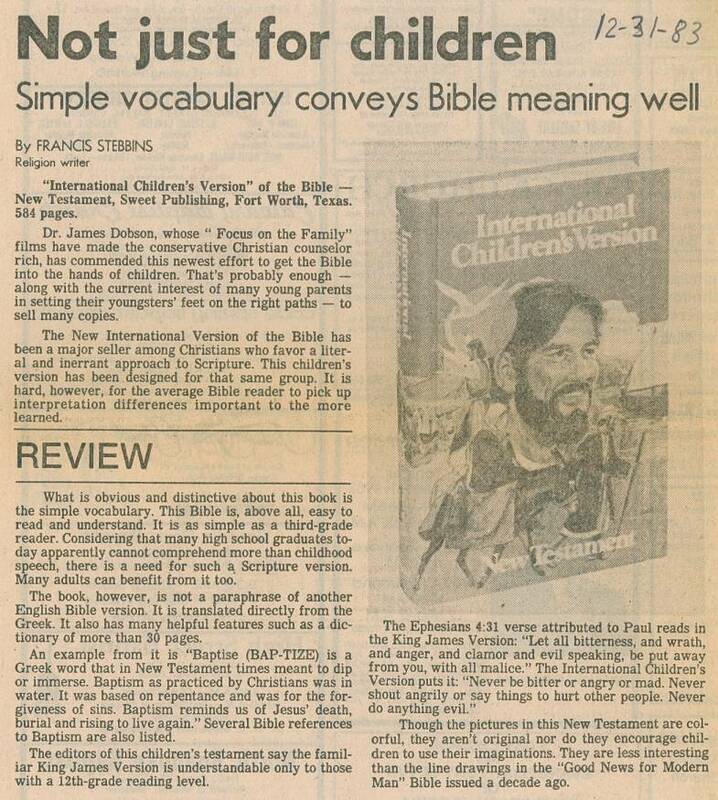 The Los Angeles Times has an article here. 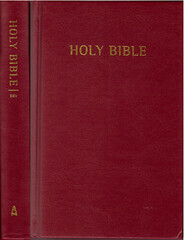 Description: Hardback octavo, thread stitiching. 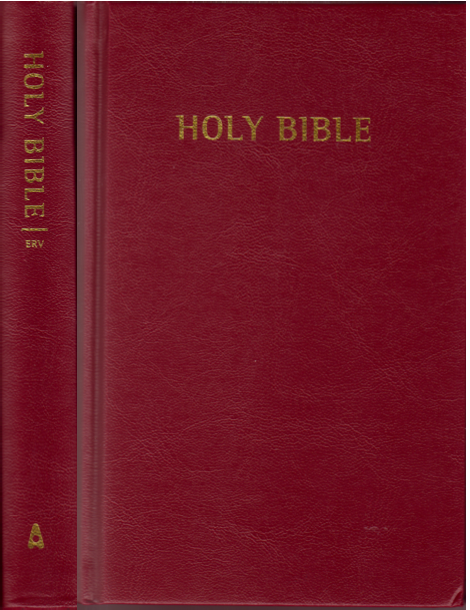 XII & 1040 pp. 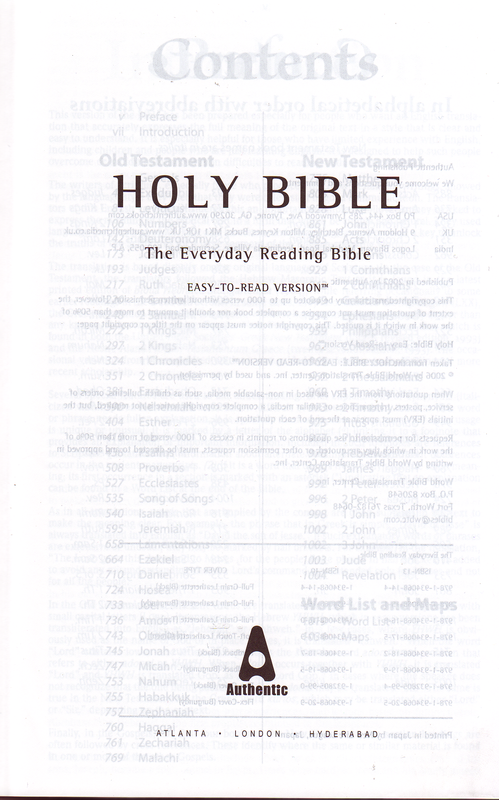 Scripture text in double column, Cross references, brief explanations and alternate readings in the footnotes. 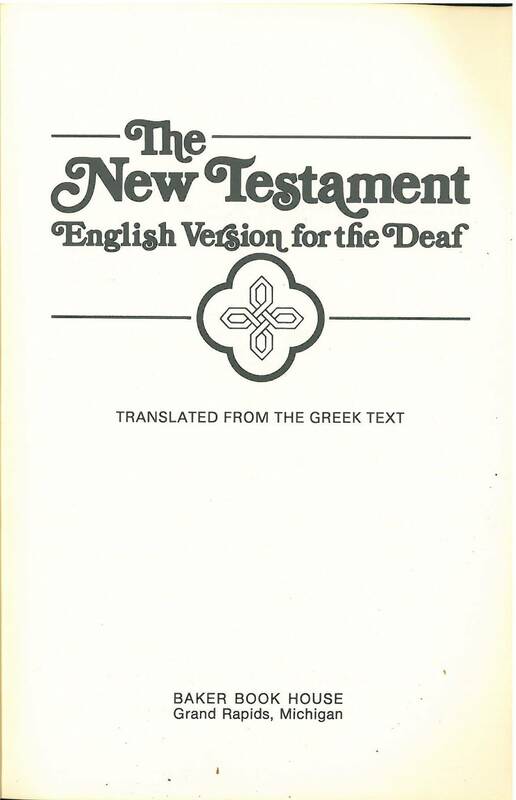 Comments: This "dynamic equivalence"- type translation is based on the Hebrew Masoretic Text found in the “Biblia Hebraica Stuttgartensia“ (1984) for the Old, and the 4° revised ed. 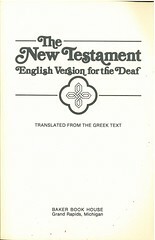 of the UBS Greek New Testament (1993) and the NT Graece by Nestle/ Aland (27° 1993) for the New Testament. 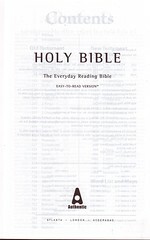 (The Apocrypha are not translated). 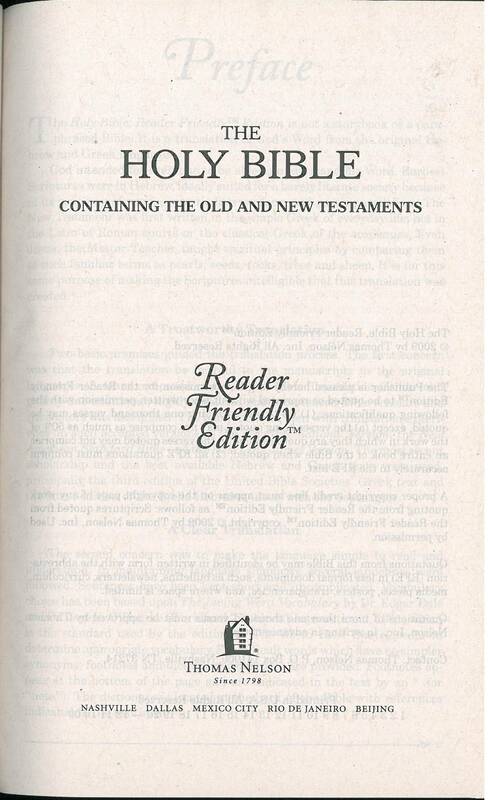 In the Preface is said, that this ERV (not to be confused with the English Revised Version!) 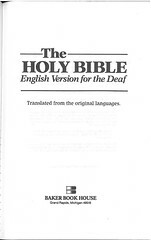 has been prepared especially for people who want an English translation that accurately expresses the full meaning of the original text in a style that is clear and easy to understand. 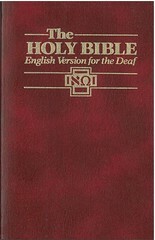 It is especially helpful for those who have limited experience with English, including children and people who are just learning English. 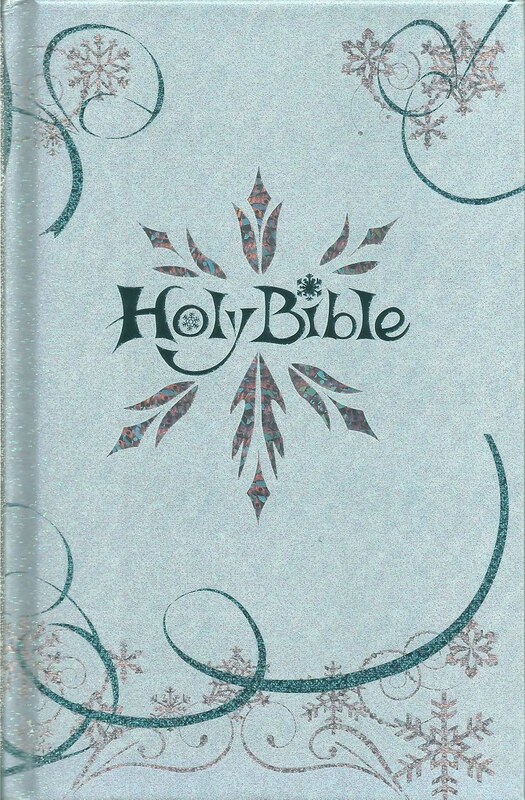 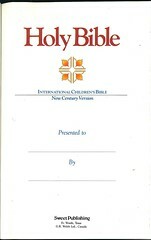 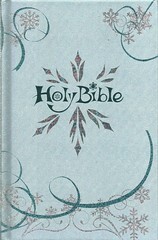 The Book is well crafted with Bible paper, thickness only 2 cm (0.8 in) for the complete Scriptures (! 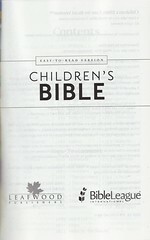 ); print is rather small, unfit for readers with bad eyes. 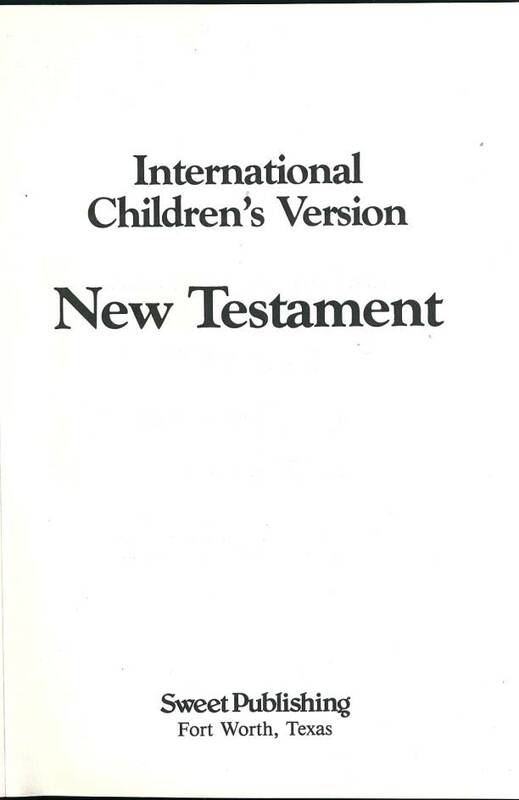 Unfortuantely no mention about the provenance of this ERV can be drawn from the preface. 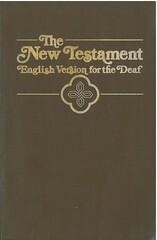 The reader might come to the conclusion that he purchased a new translation, undertaken in 2006. 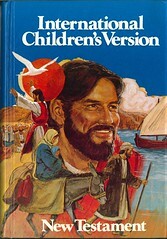 But the copyright dates lately from 1978 (not shown) and was renewed again in 1981 and 1982. 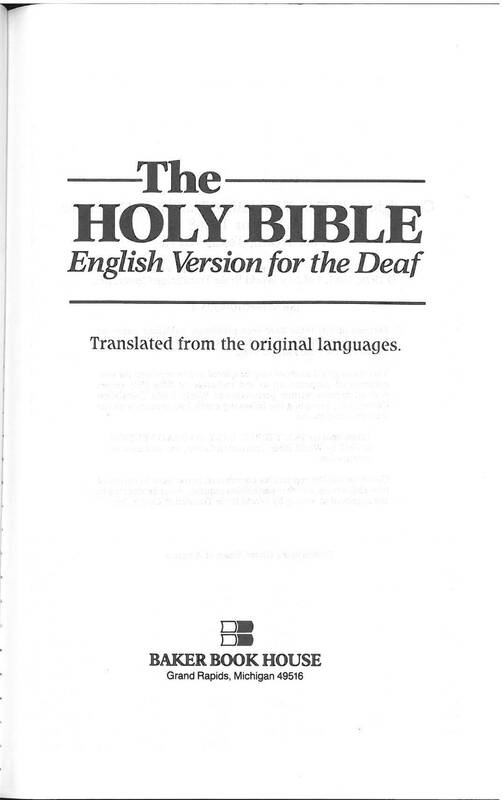 Comments: Dynamic equivalence translation. 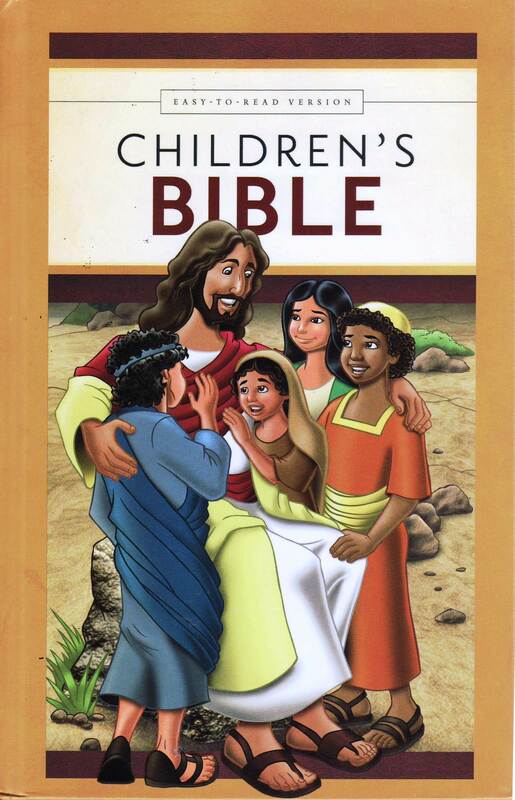 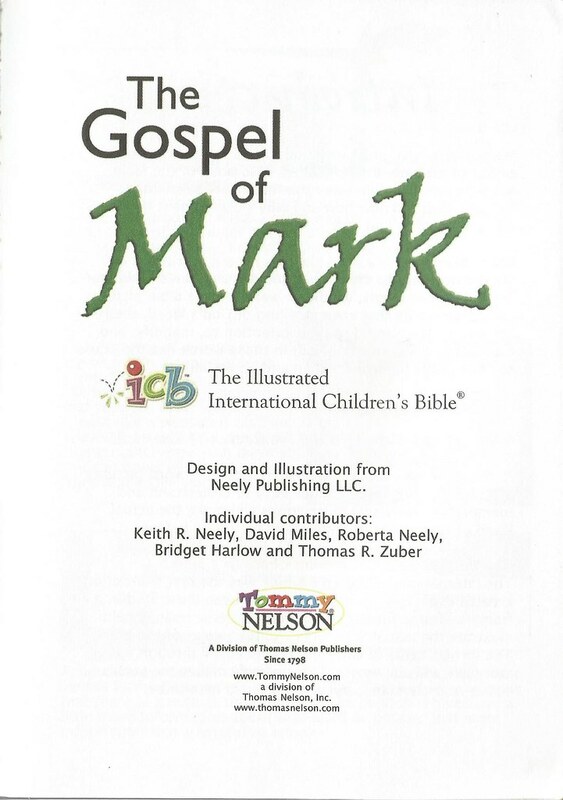 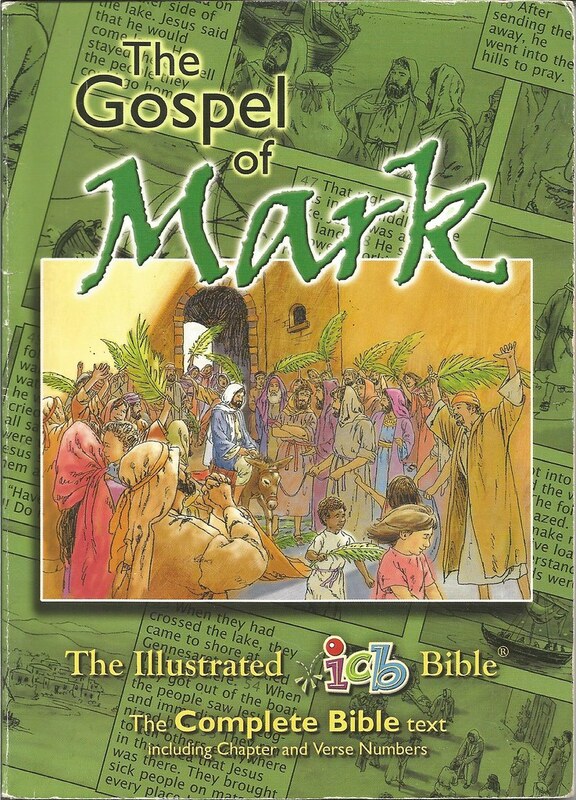 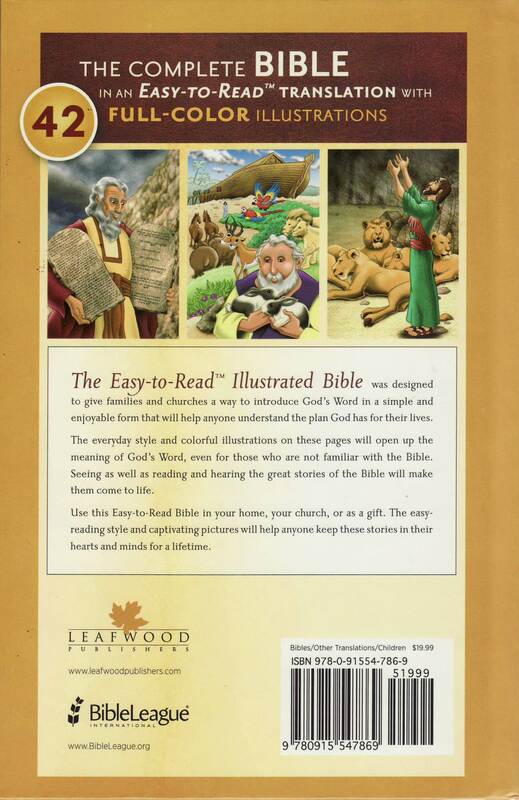 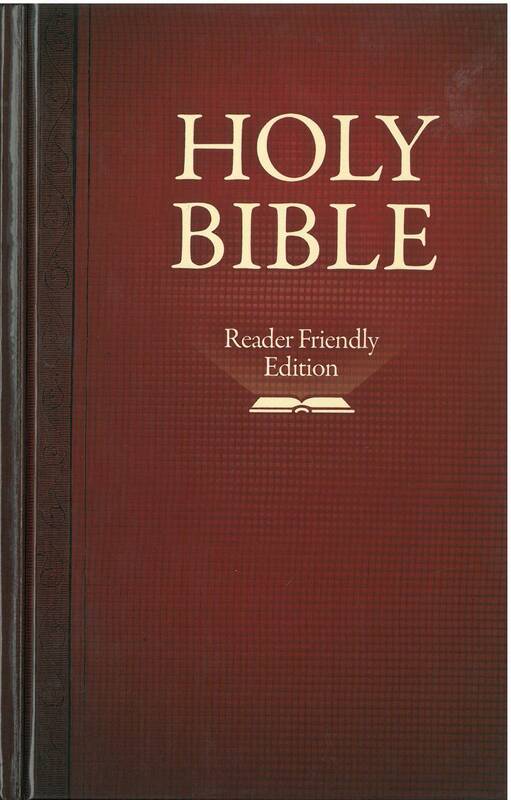 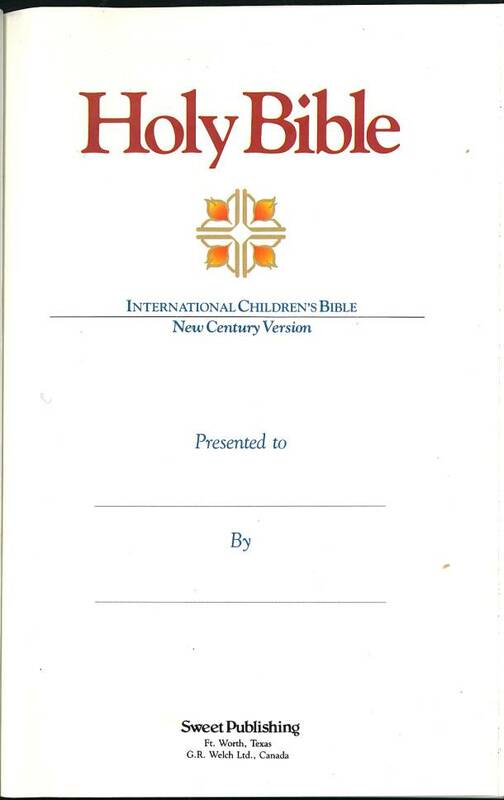 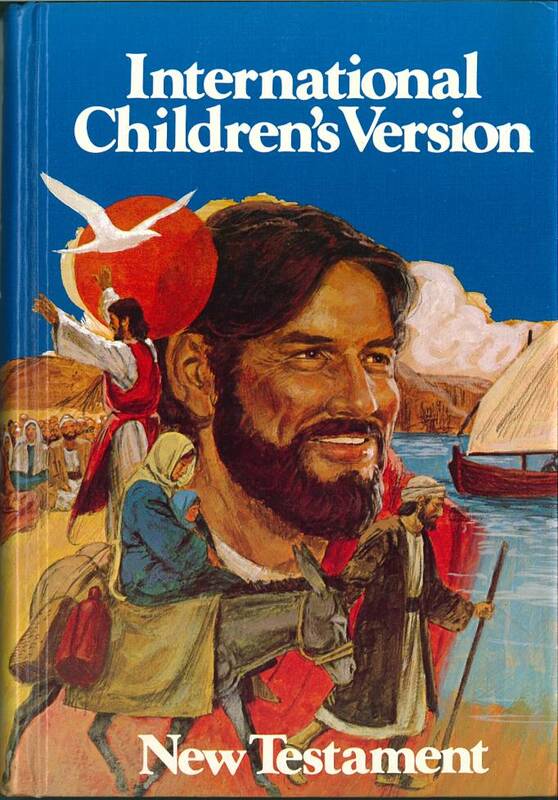 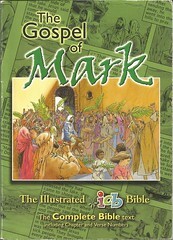 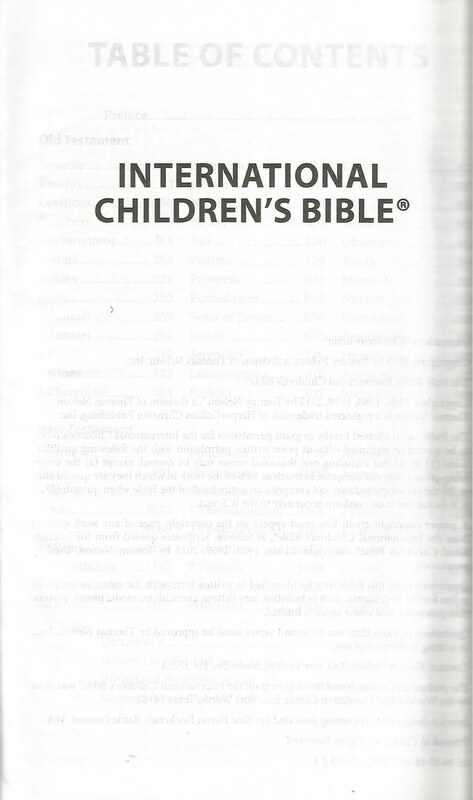 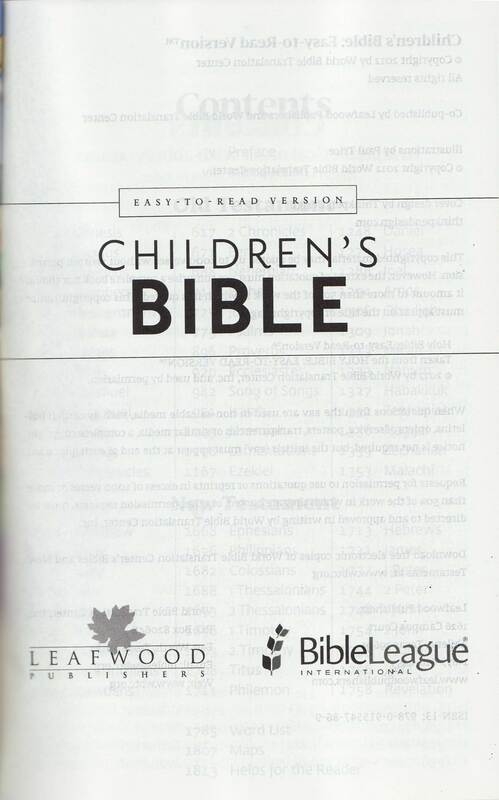 According to correspondence from Thomas Nelson, Inc., the Reader Friendly Edition "is a branch of the International Children's Bible for readers who are no longer children but desire an easy to read." 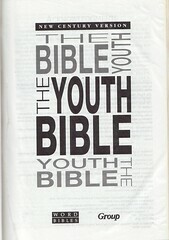 Publisher: Nashville: Thomas Nelson, Inc. 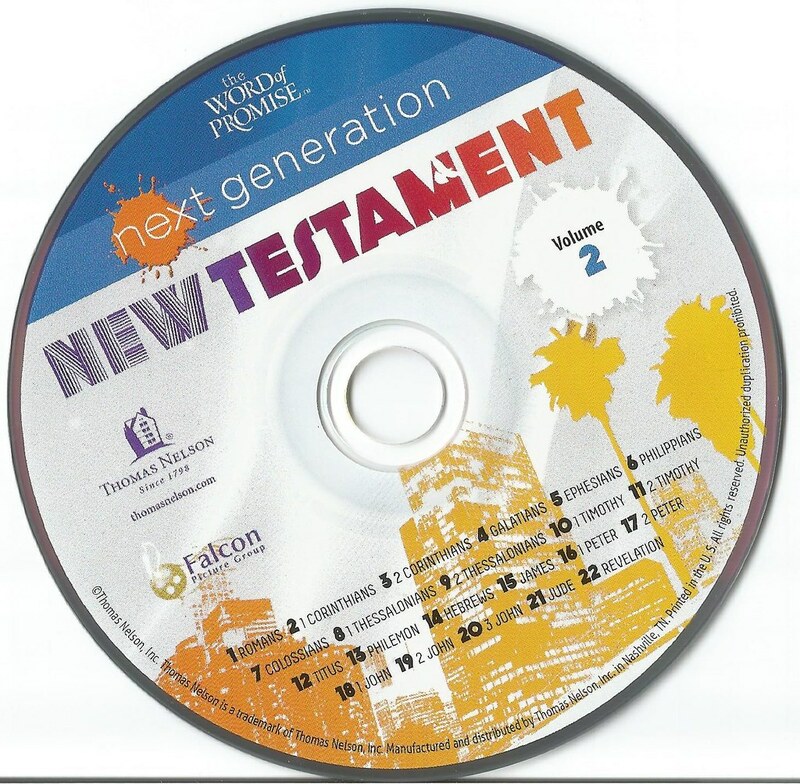 Comments: The inside of the front and back covers has two plastic sleeves with compact discs. 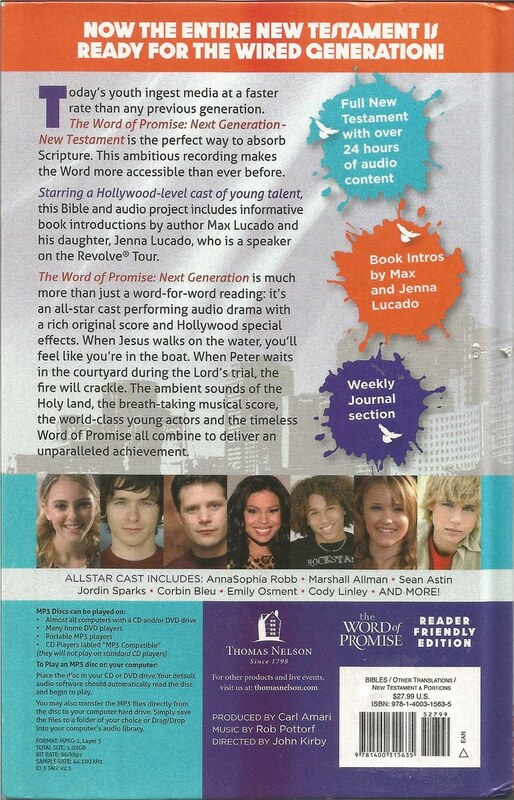 They contain an audio narration performed by young actors and actresses. 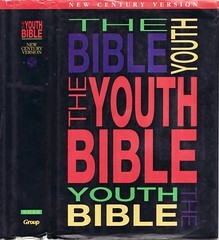 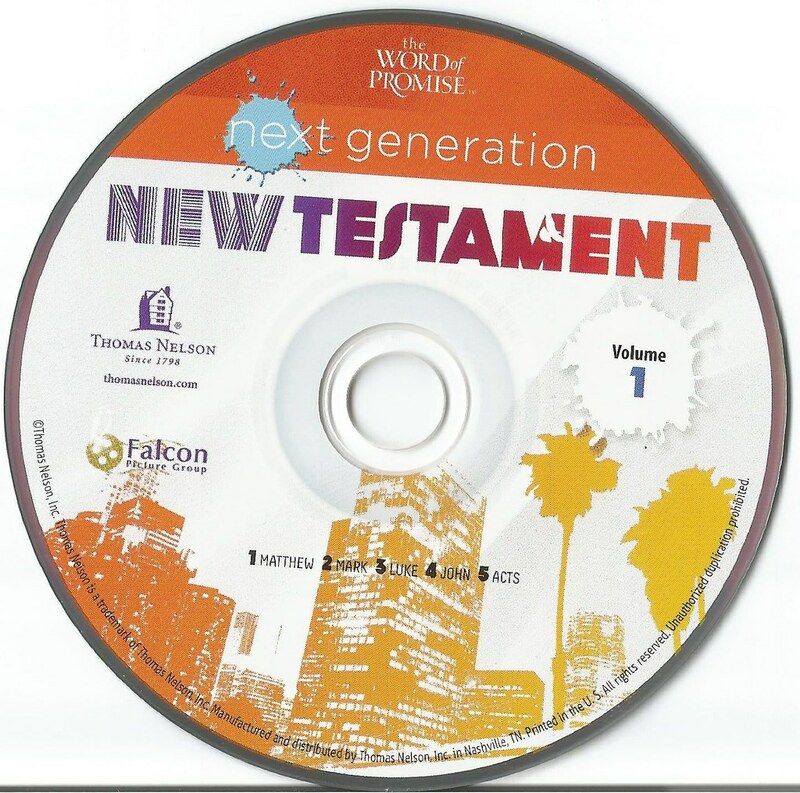 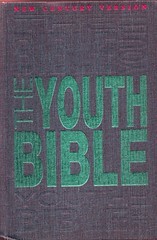 Disc 1 covers Matthew to Acts; disc 2 contains Romans to Revelation.